What is the Henry Spink Foundation? The Foundation is an independent charity set up by Henry Spink's parents to assist families who, like them, have a child diagnosed with severe disabilities. From their direct experience of the complexities of finding treatments and undergoing therapies or simply locating appropriate information, they felt they could do something to assist others in the same situation. The parents of severely disabled children often face formidable problems and can endure lonely searches for treatments and help. The Spink family's experience of years of isolation, frustration and exhaustion is typical of thousands of others. The Foundation was born out of a wish to create what they lacked: real assistance and a place to go from the earliest diagnosis. This wish is currently realised through the creation of an information resource centre and in the future, will be realised, through the provision of centres for meeting, treatments, play and encouragement. There was, and still is, a great need for accessible, useful and unbiased data on treatment and research, particularly in the fields of complementary and alternative medicine. The Foundation's first aim was to address this requirement with a single, interdisciplinary source of current information. The Information Centre is now established, and growing. Especially aimed at families and children, the Henry Spink Foundation also helps people of all ages. We cover both conventional and complementary/alternative medicine and therapies in our constantly growing database of international information which is accessible via the Information Centre by telephone information line and e-mail. To provide an information resource covering the widest possible range of conventional and complementary/alternative medicine and therapies, international research and centres of excellence. To establish activity centres for parents and children to meet and enjoy therapeutic and fun activities. 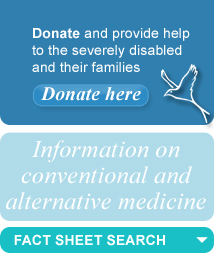 To be a focus for research into the chemical causes of disability and to encourage investigation of essential topics. The Foundation aims to foster holistic approaches to care and treatment and to identify centres of excellence. The Henry Spink Foundation relies on charitable donations to develop this work and to continue to provide independent, comprehensive and unbiased information. We urgently need funding for our ambitious plans to make a real difference to the lives of affected children and their families. Please see How You Can Help.